A complex of natural antioxidants, with strong refreshing, cleansing and moisturising properties suitable for all types of skin. The polyphenols of Green Tea extract have a strong antioxidant effect which benefits all types of skin, preventing dehydration of the epidermis and increasing elasticity. Hyaluronic acid prolongs the retention of moisture in the skin, while Rosewater provides gentle cleansing with its excellent antibacterial properties. 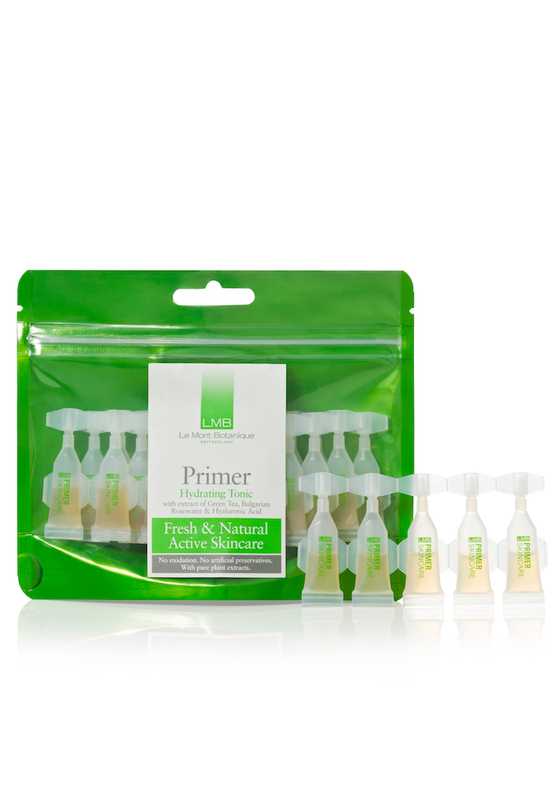 Suitable for use as a primer before applying LMB's Day Revitalising Serum or Super Hydrate 8-Hour Serum. After cleansing, apply to the face and neck. Shake well, twist cap off ampoule and squeeze the full contents directly onto the skin. Each ampoule is designed for single application. If all contents are not used, replace the cap of the ampoule, refrigerate and use within five days of opening.